Hello everyone! 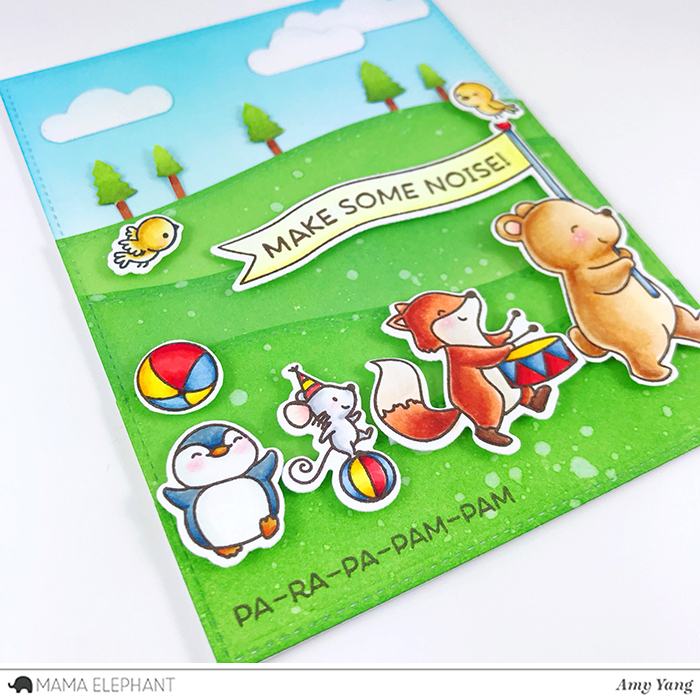 Amy here with a Designer Series project featuring the adorable Animal Parade stamp set and On The Hills Creative Cuts. To begin, I colored the stamped images from Animal Parade and the two birds from Tea with Friends and colored them with Copic markers. 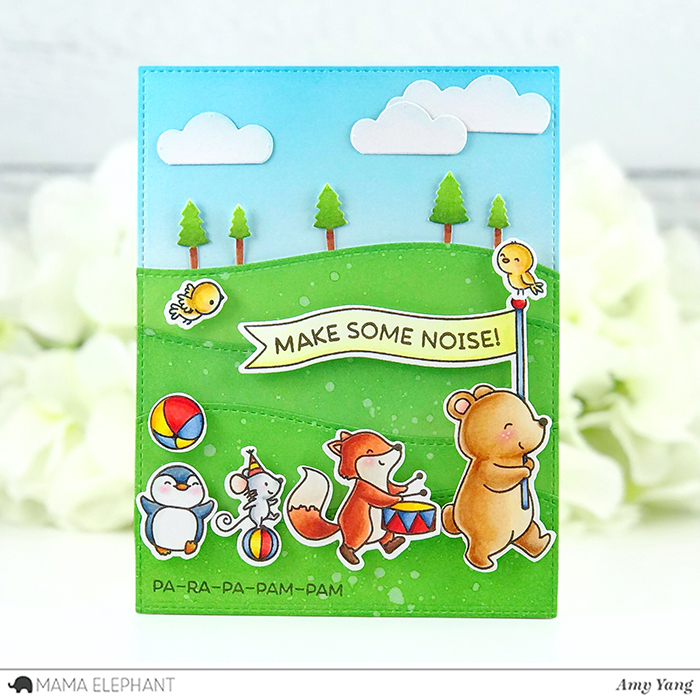 I stamped the "Make Some Noise" sentiment onto the banner the bear is carrying with brown dye ink. I then cut out the images with the coordinating Animal Parade Creative Cuts and Tea With Friends Creative Cuts. For the front panel, I die-cut Smooth Bristol paper with the largest die from Basic Rectangles Creative Cuts and ink blended it with Mermaid Lagoon Distress Ink. 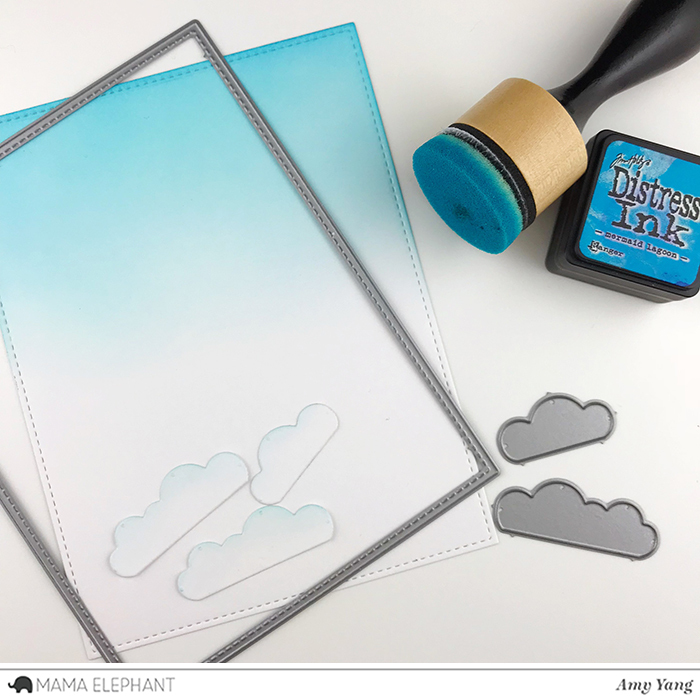 I also lightly inked the clouds that I die-cut using the On The Hills Creative Cuts. 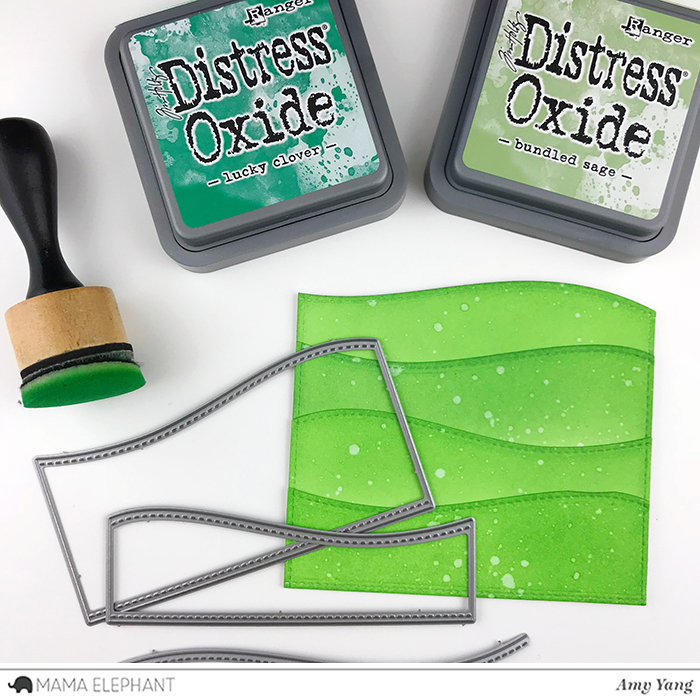 To make the 4 hill panels, I die-cut Smooth Bristol cardstock with a hill die from Landscape Trio Creative Cuts and hill dies from On The Hills Creative Cuts. I inked blended each layer with the combination of Lucky Clover and Bundled Sage. To add some texture, I spritzed the panels with water. Then, I adhered the four layers together and affixed it to the front panel. On the shortest hill panel, I stamped the other part of the sentiment "Pa-Ra-Pa-Pam-Pam" with a brown dye ink. I adhered the clouds to the front panel as well as the little trees (made with the dies from the On The Hills Creative Cuts) that were Copic colored. To finish, I foam mounted all the images to the card front as shown and glued the front panel to a top folding card base. 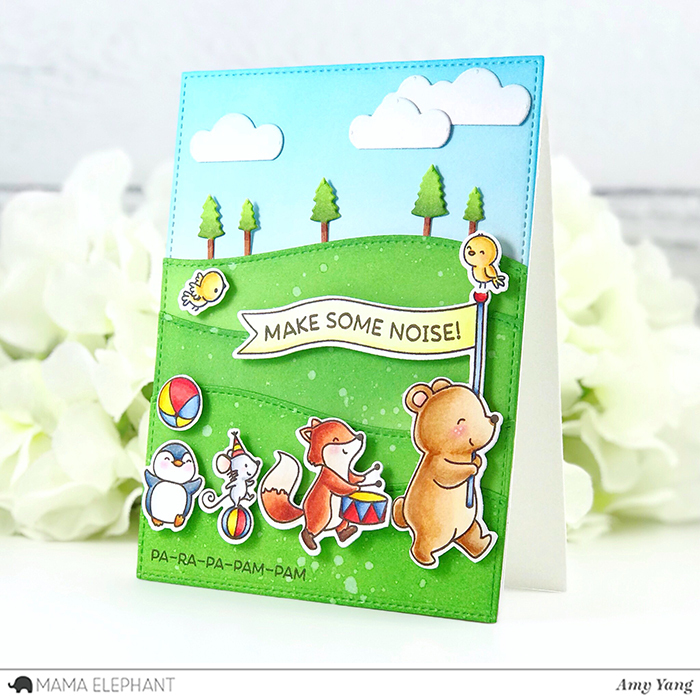 Cute parade and fun image. Love the dies too. This is such a sweet scene. Adorable... love your inky backgrounds; they're super! Such sweet cards. I love the tip to use colored pencils to shade small images!